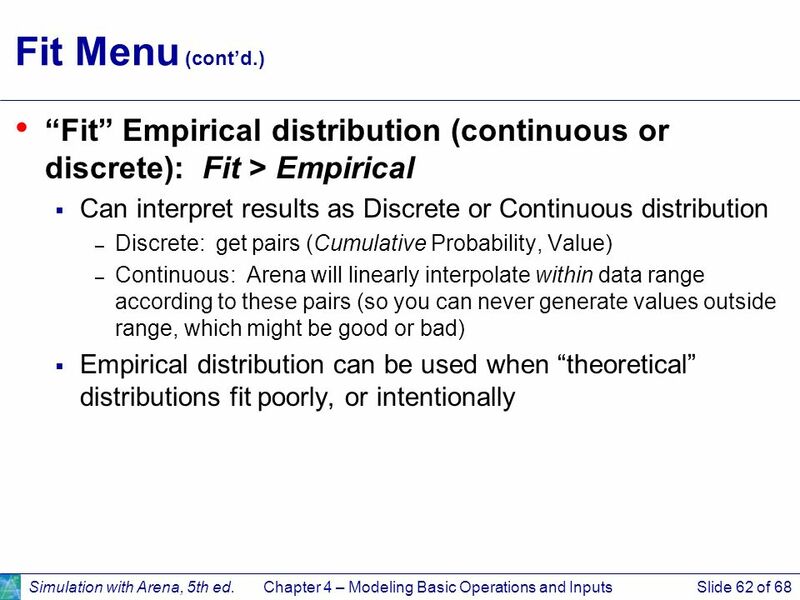 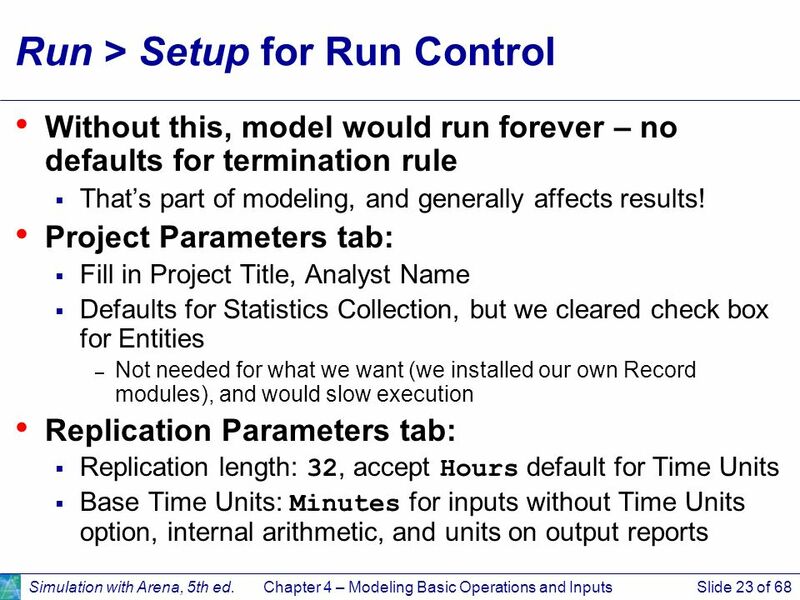 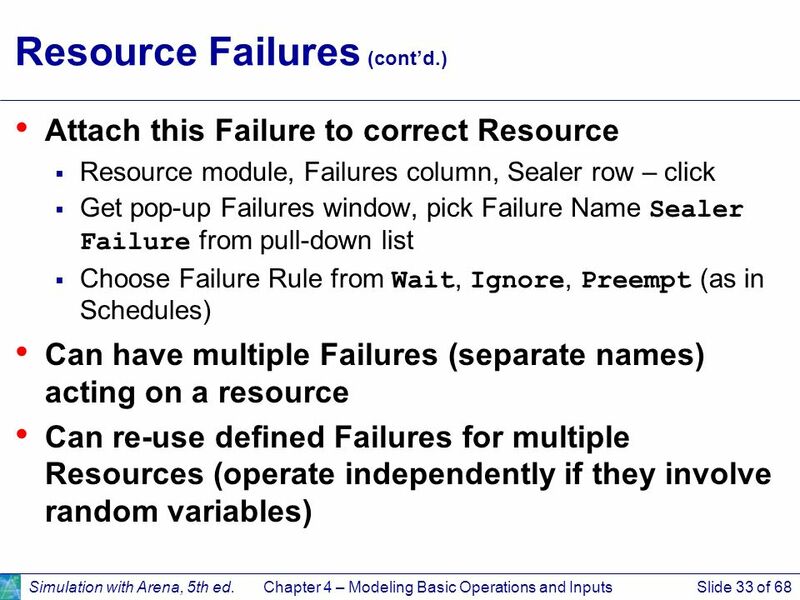 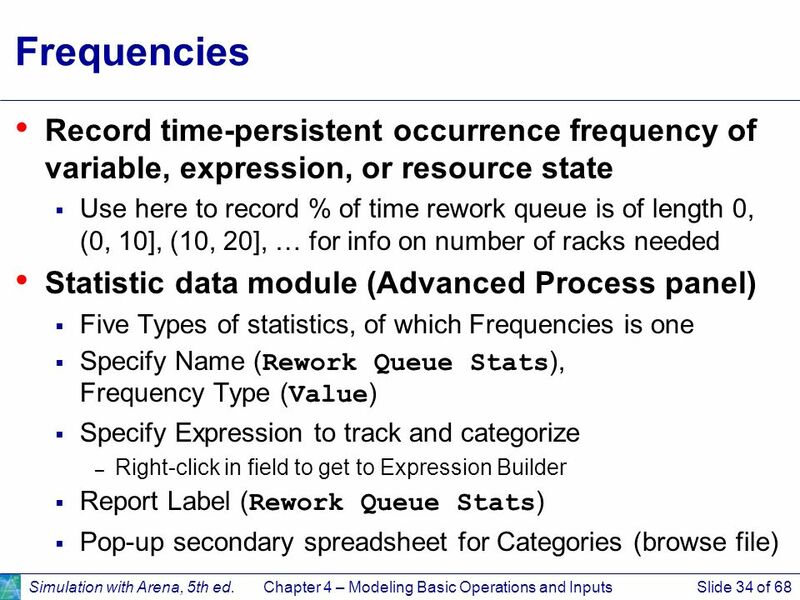 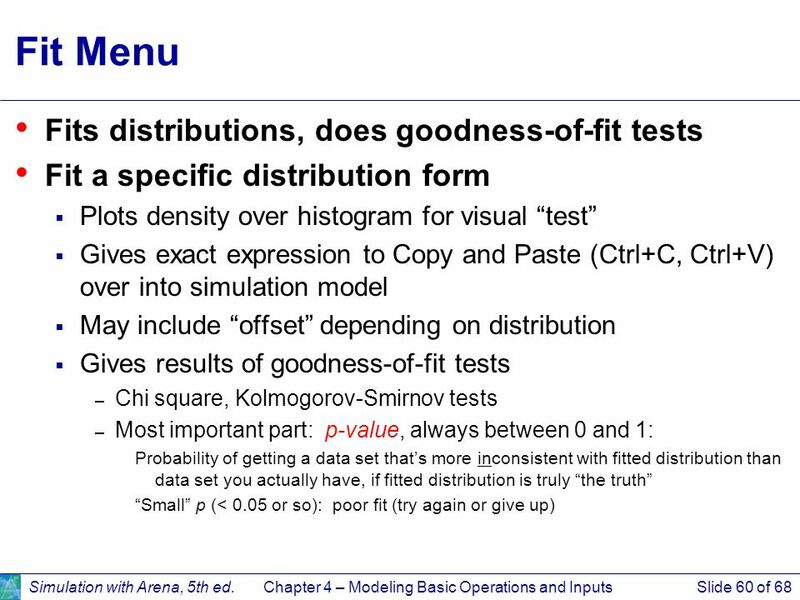 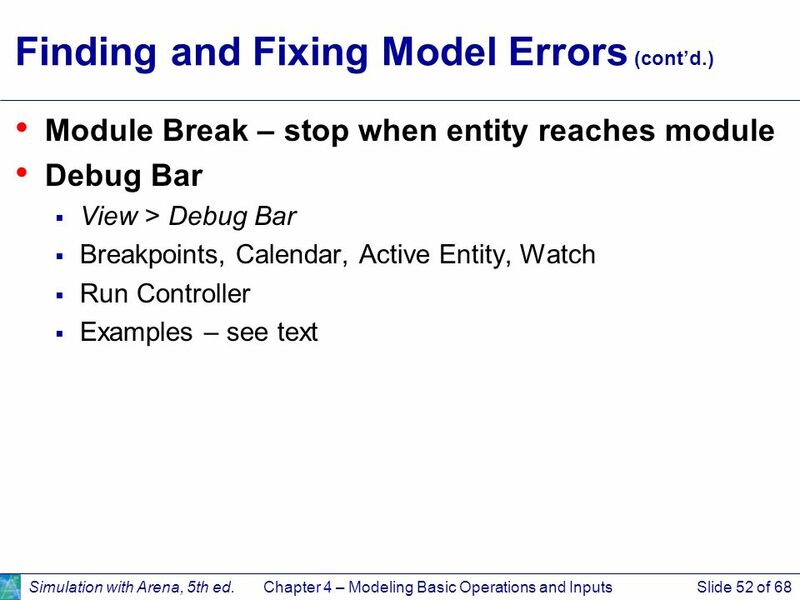 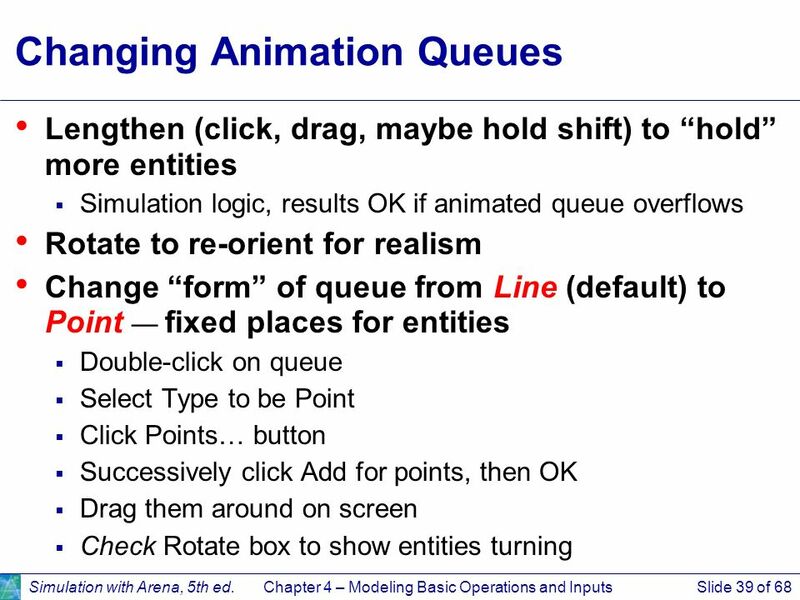 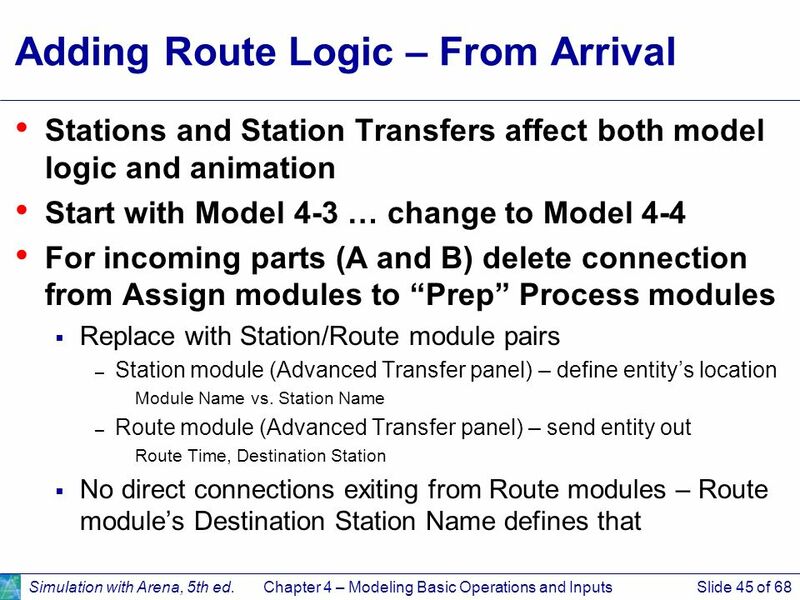 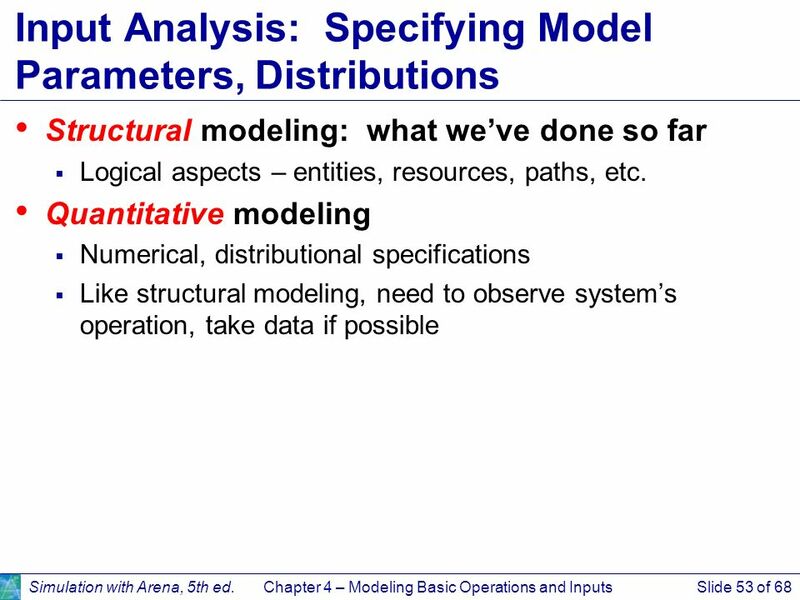 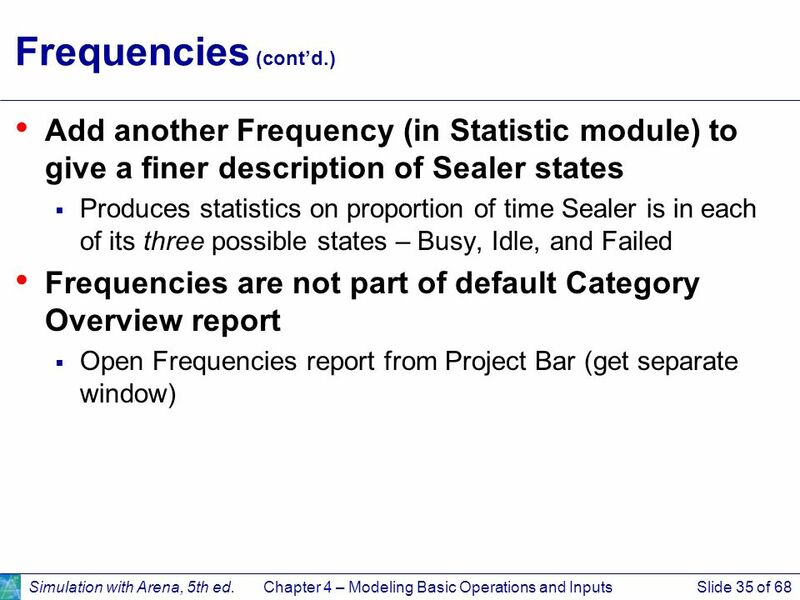 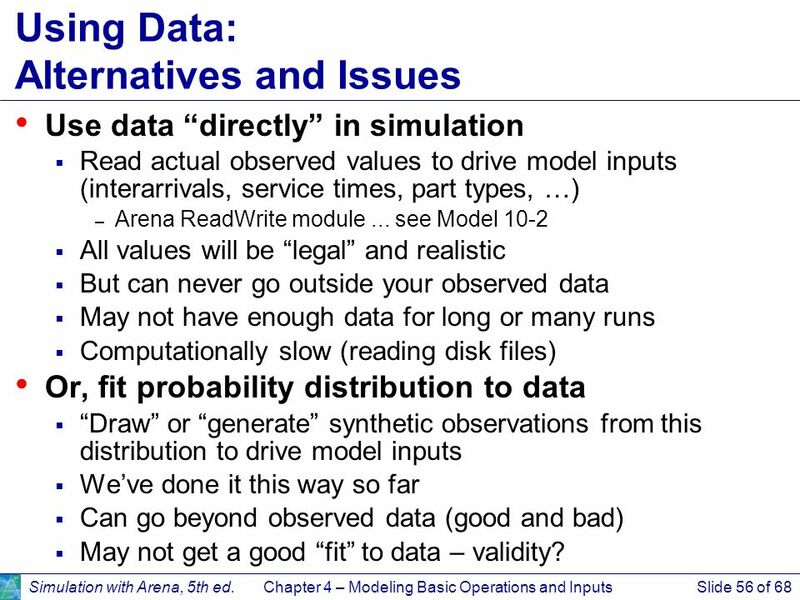 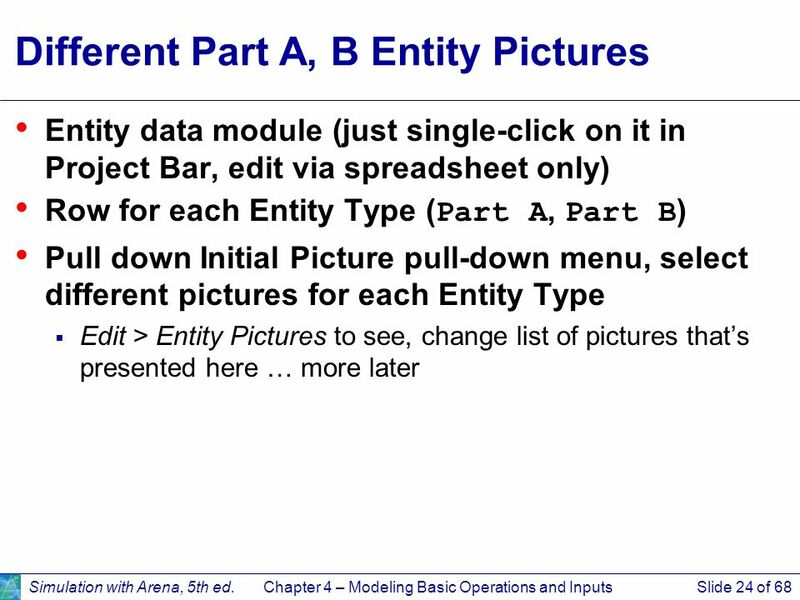 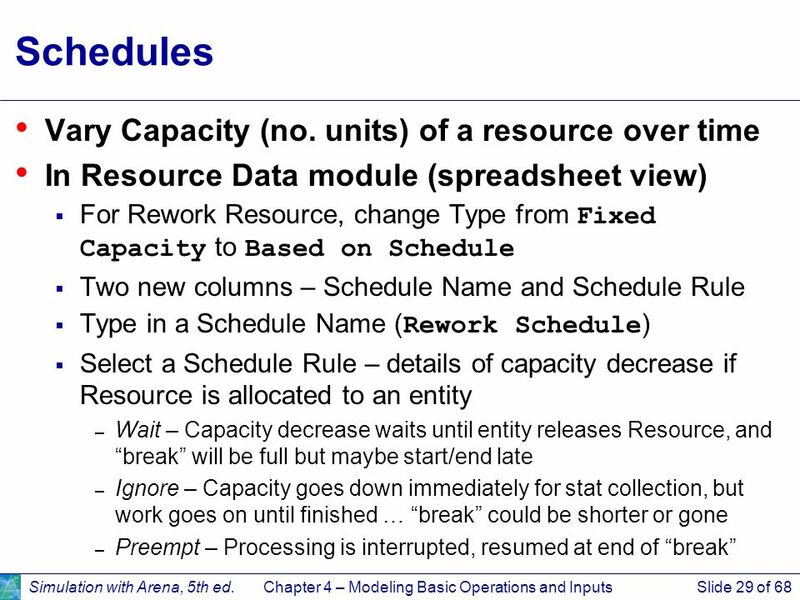 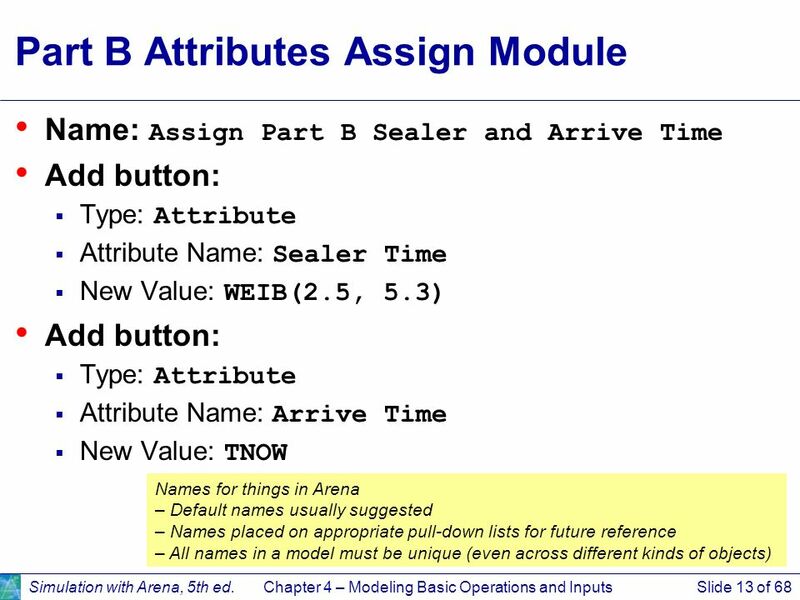 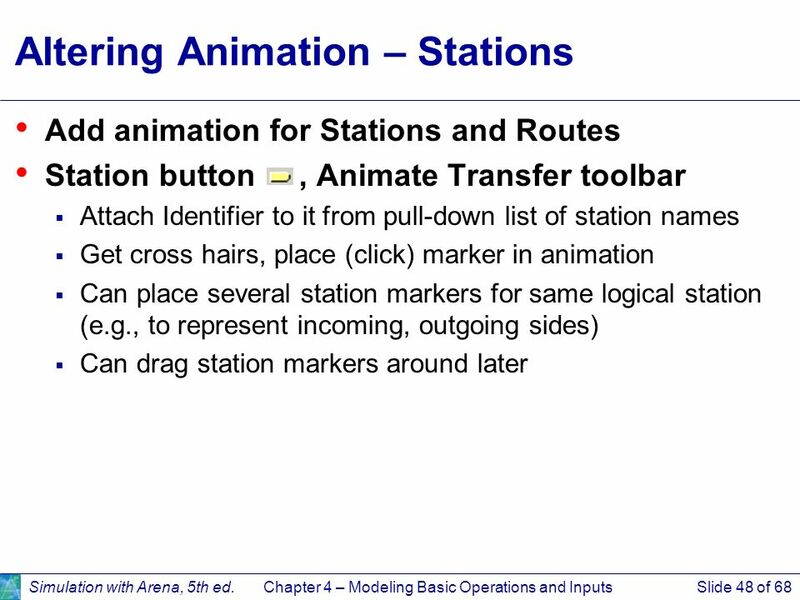 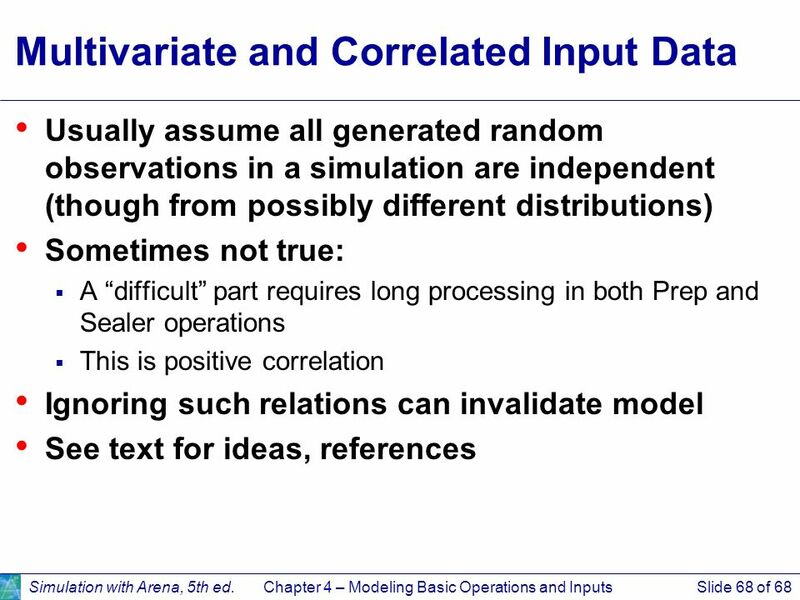 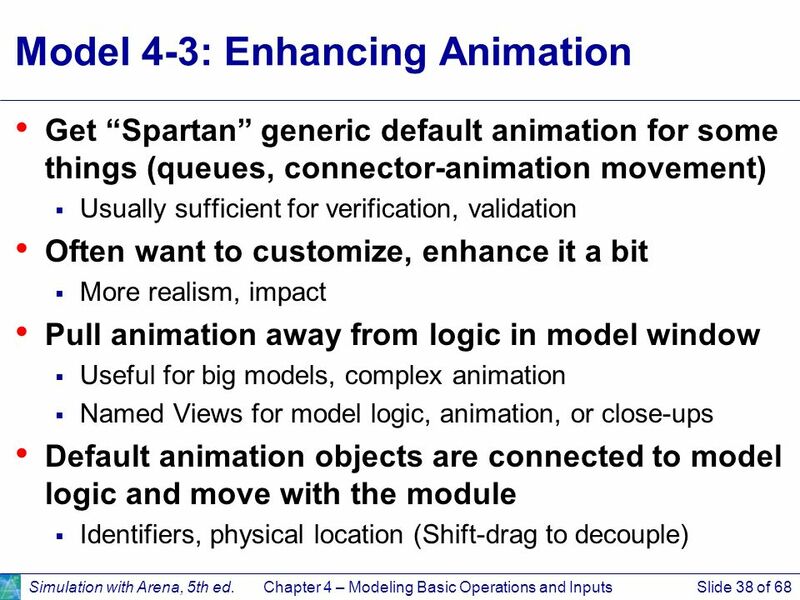 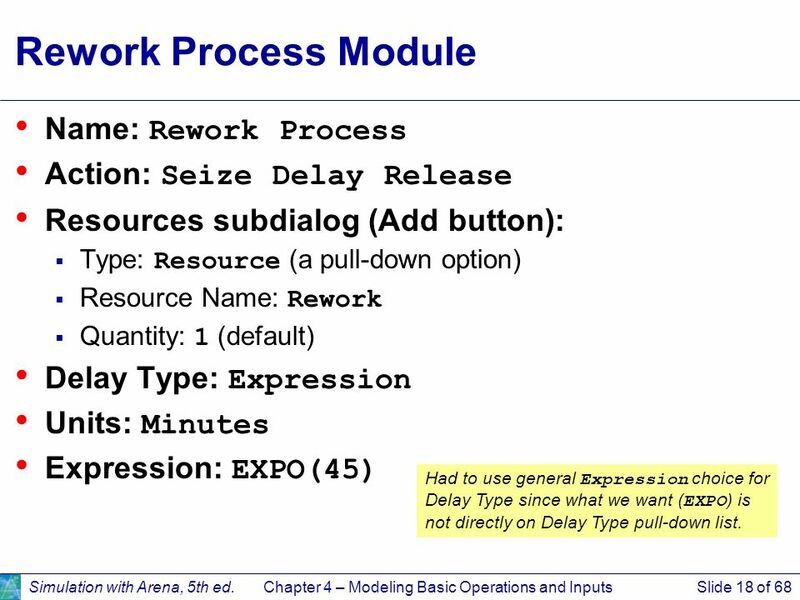 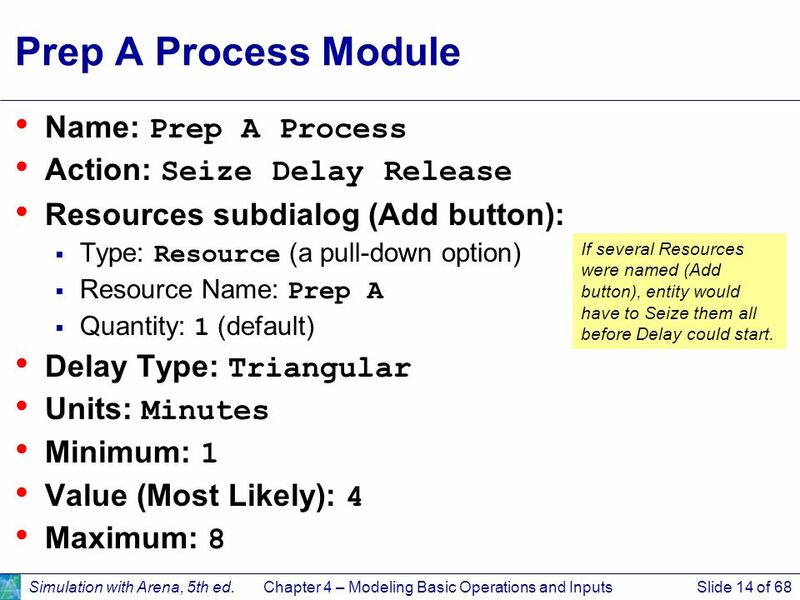 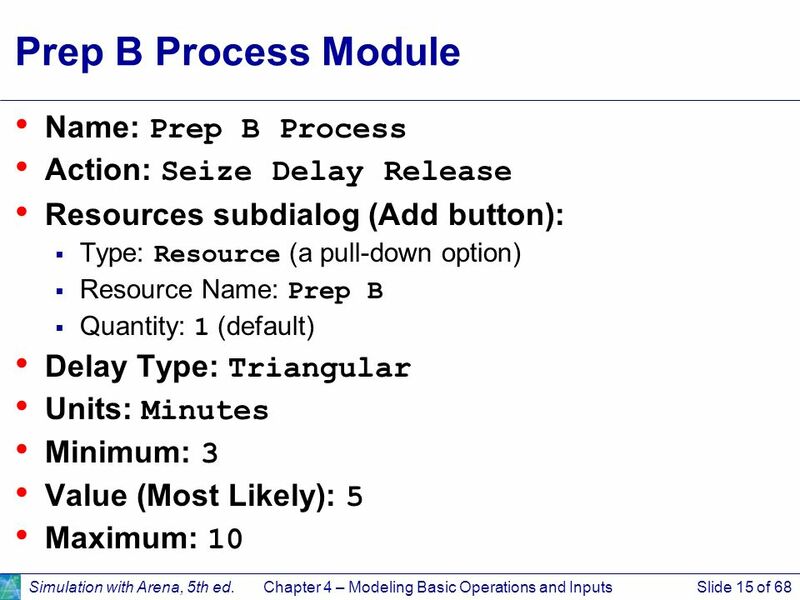 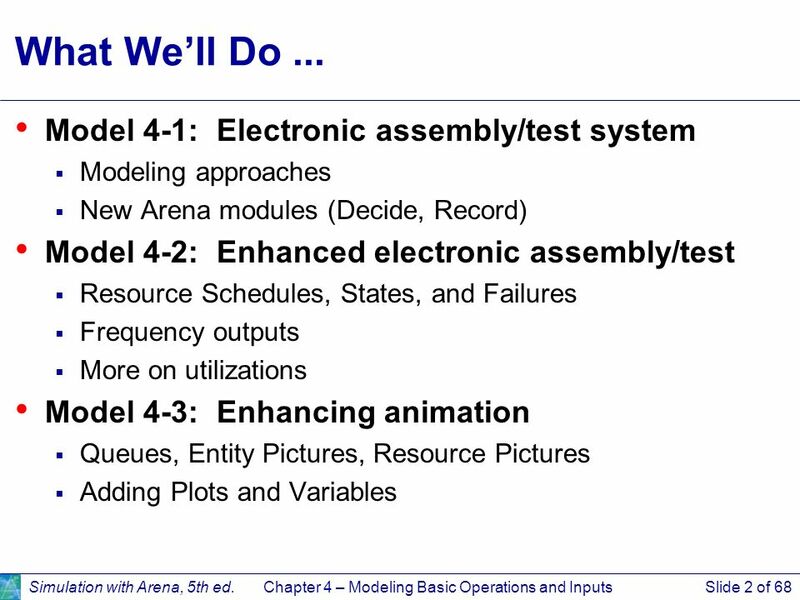 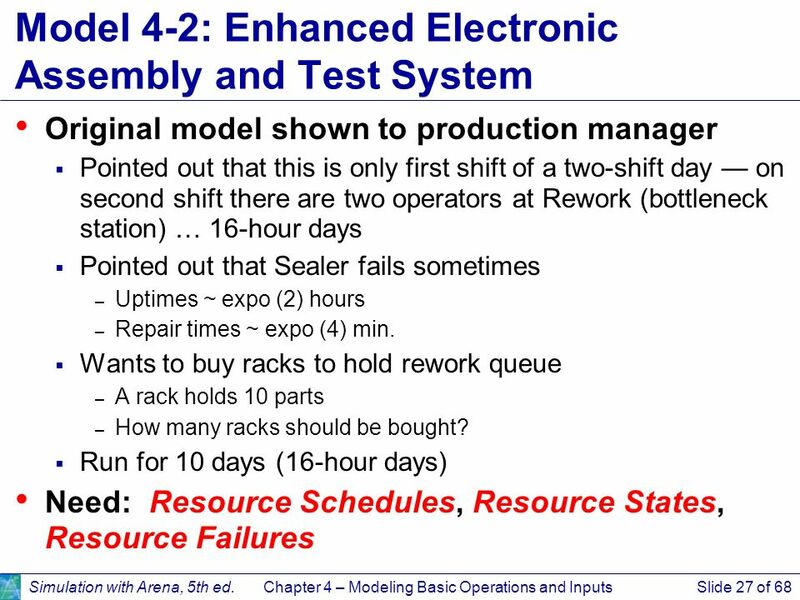 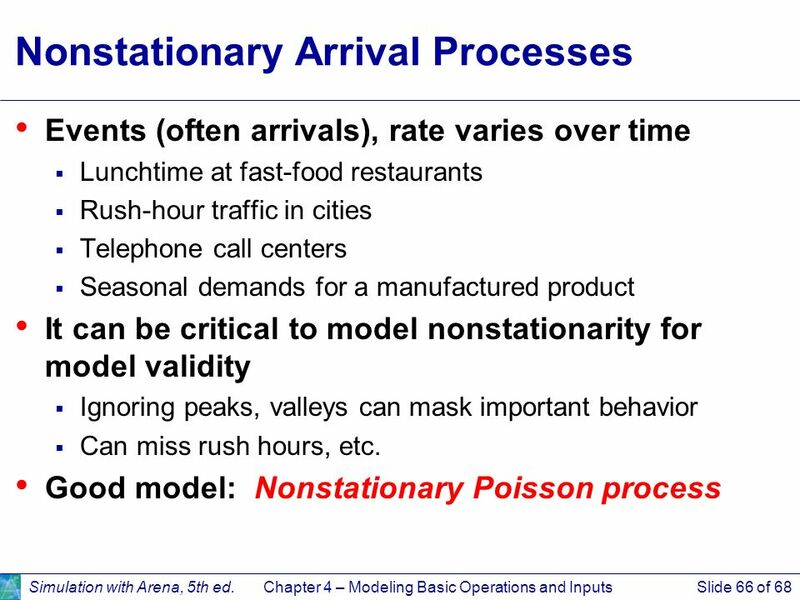 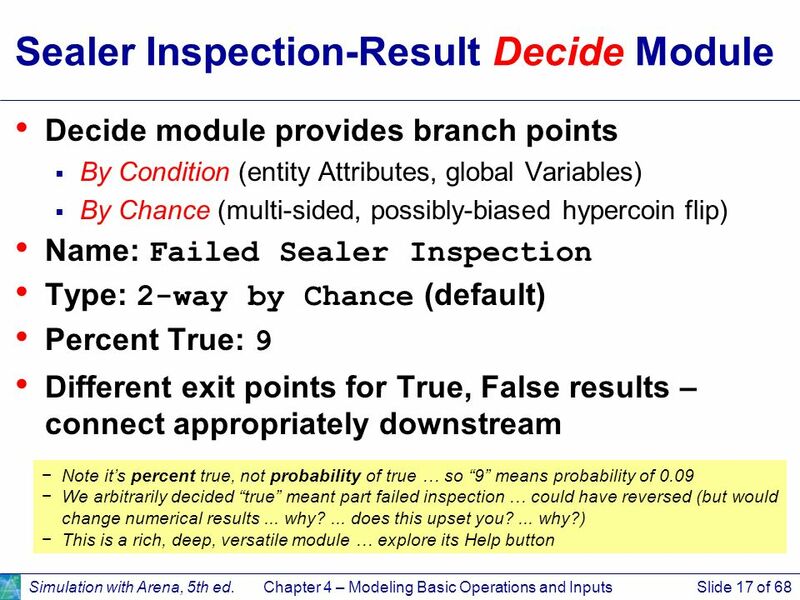 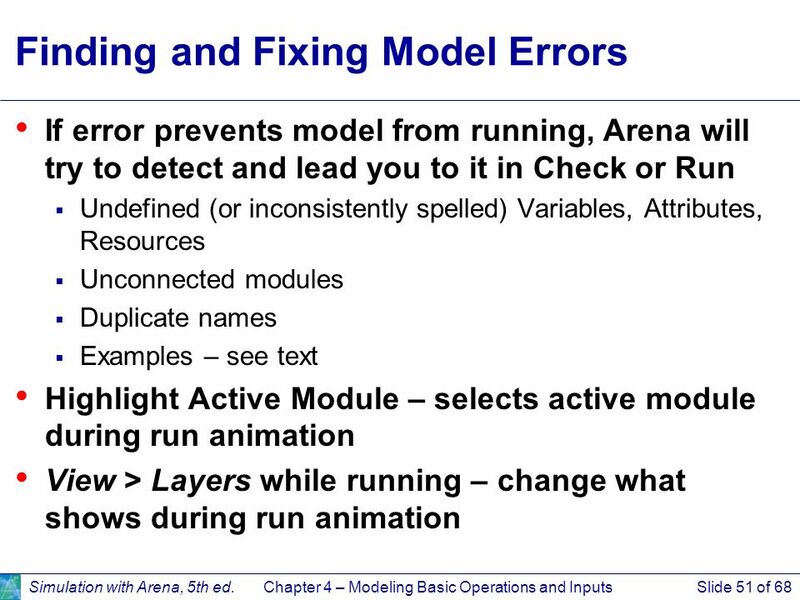 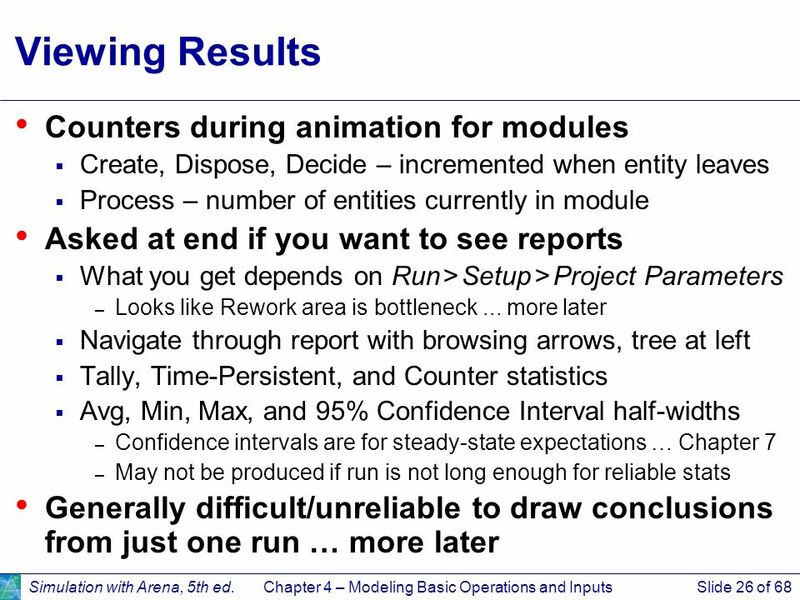 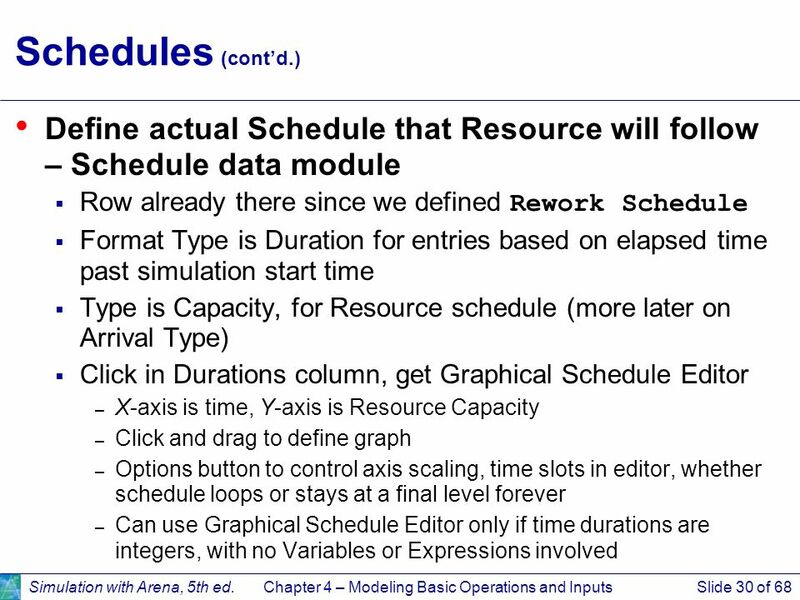 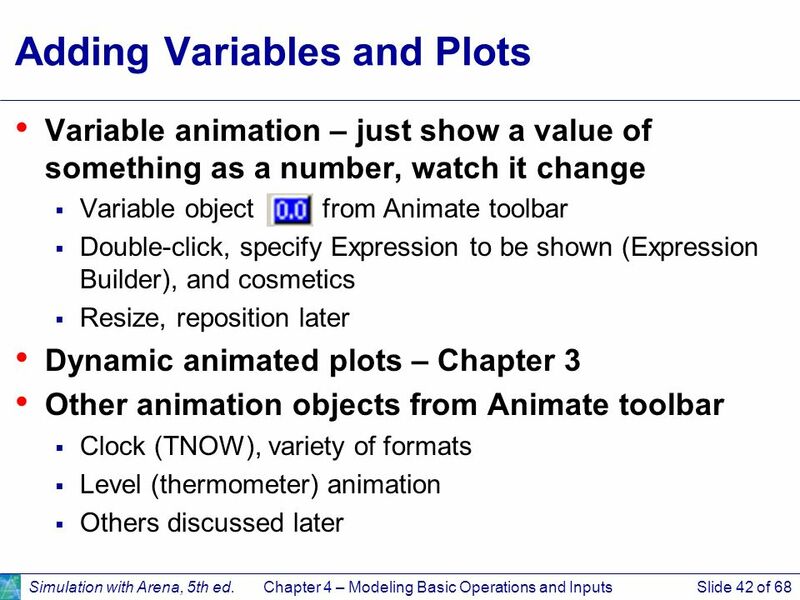 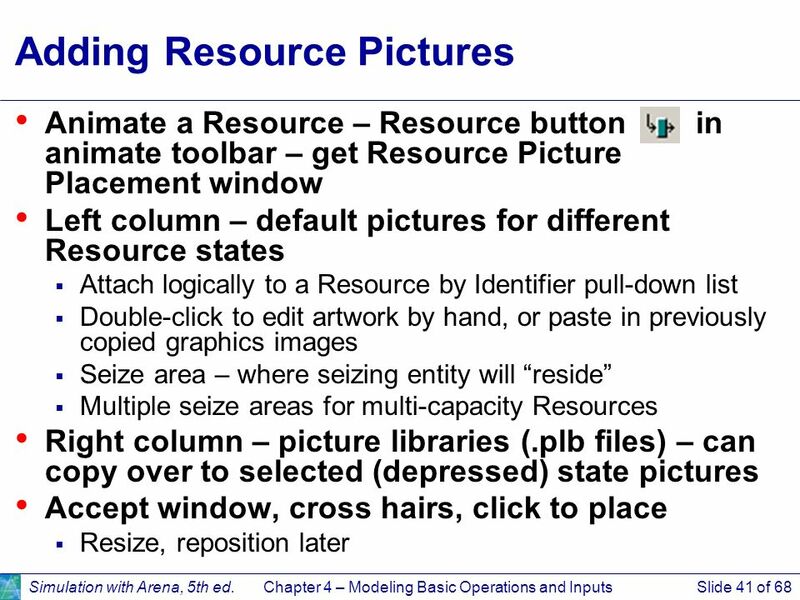 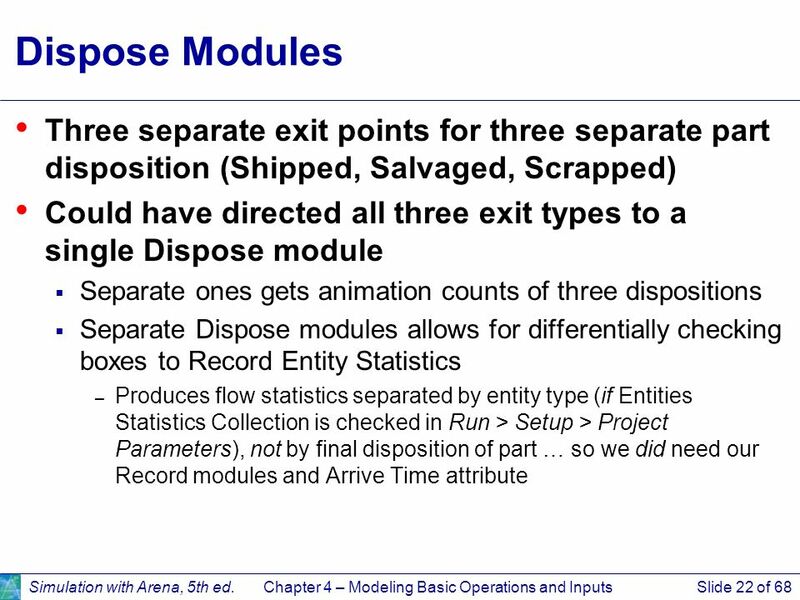 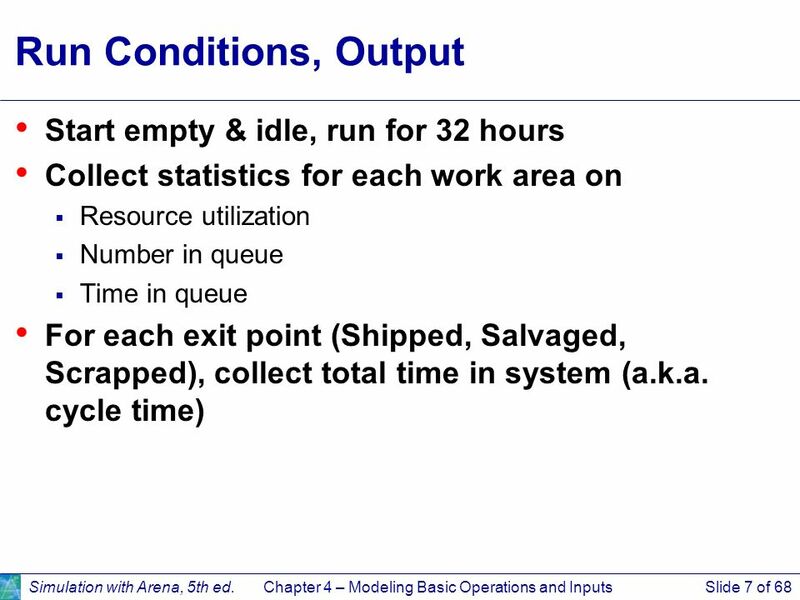 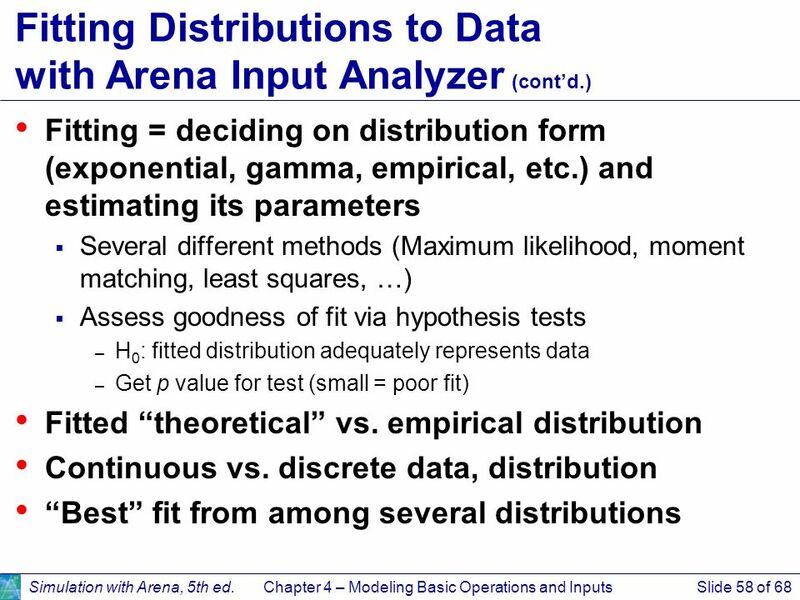 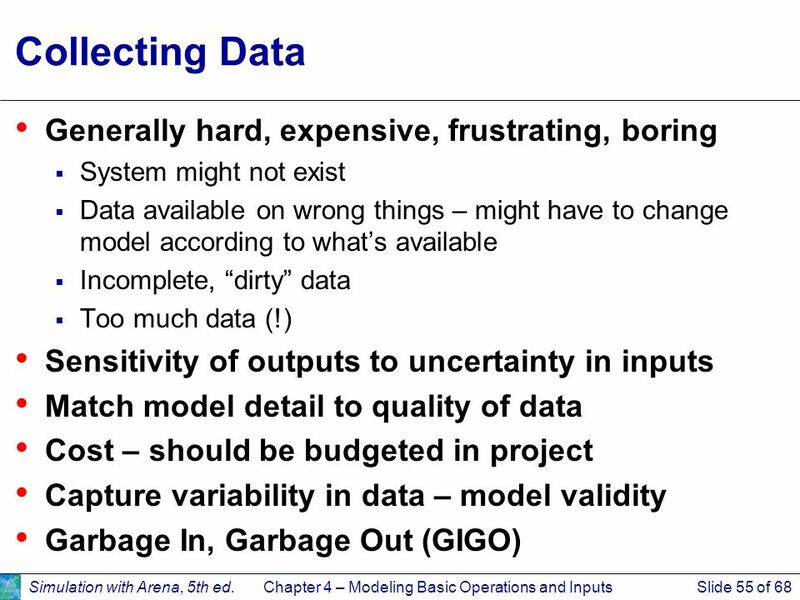 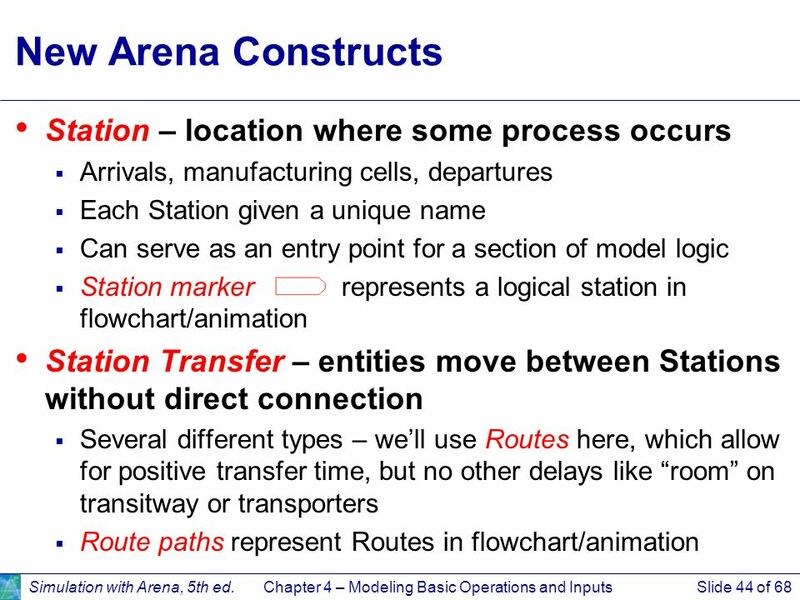 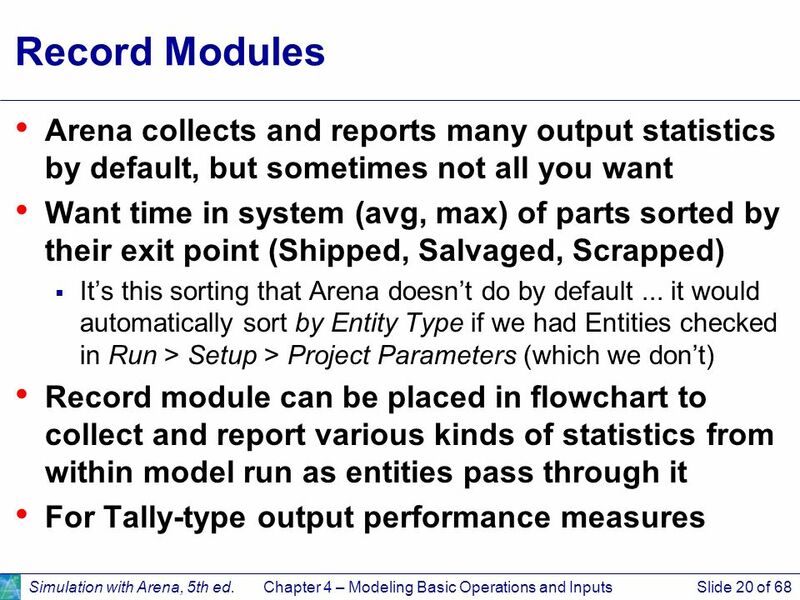 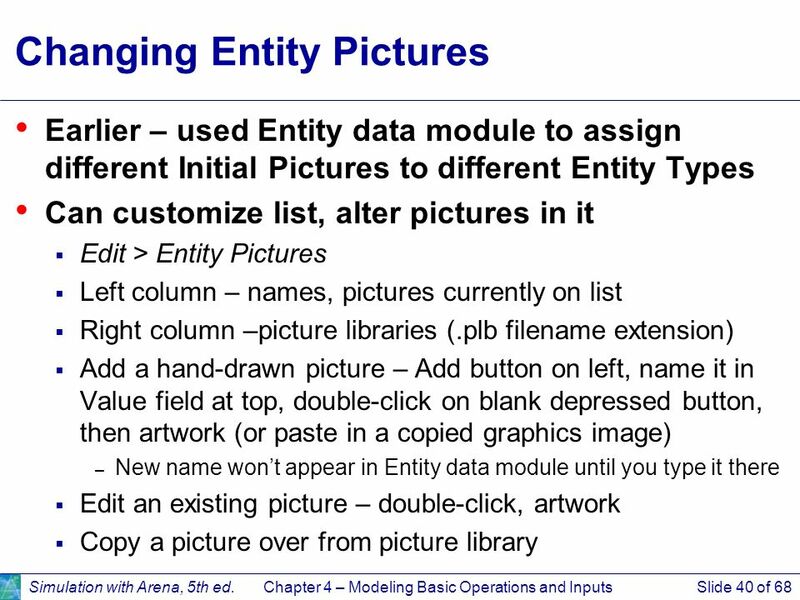 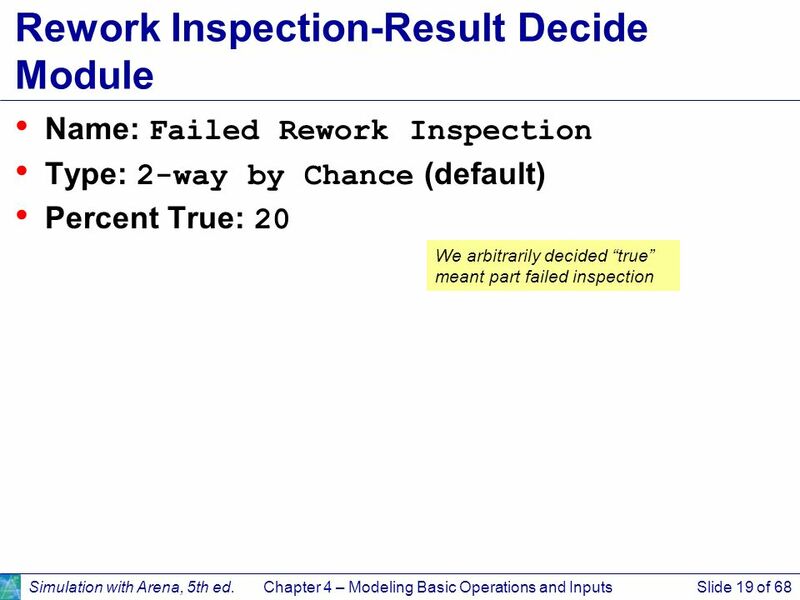 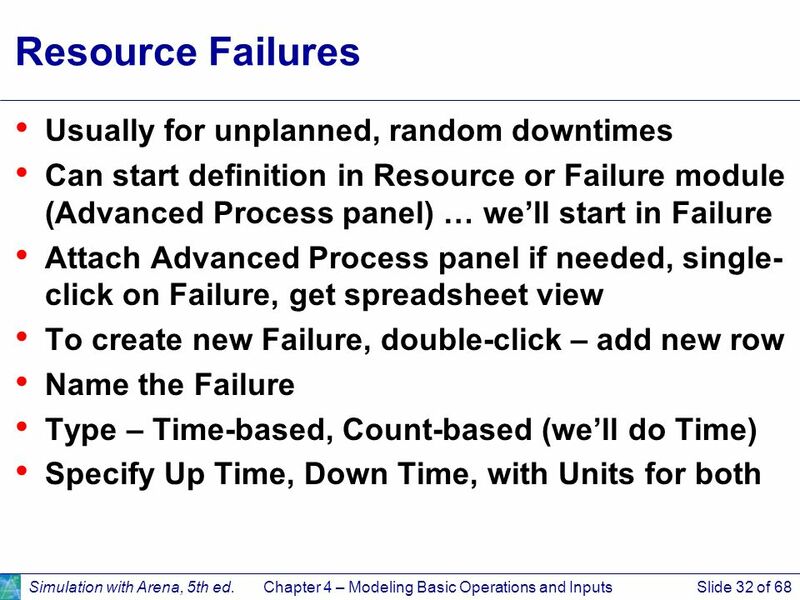 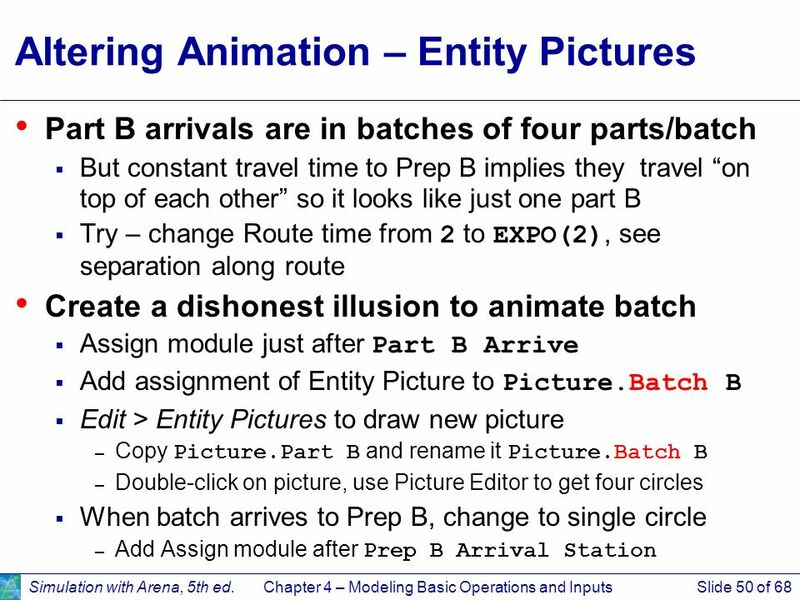 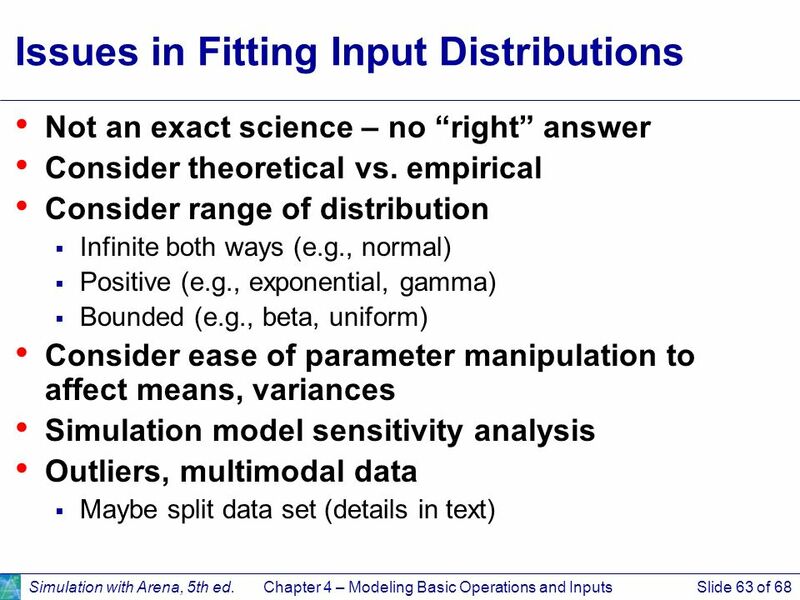 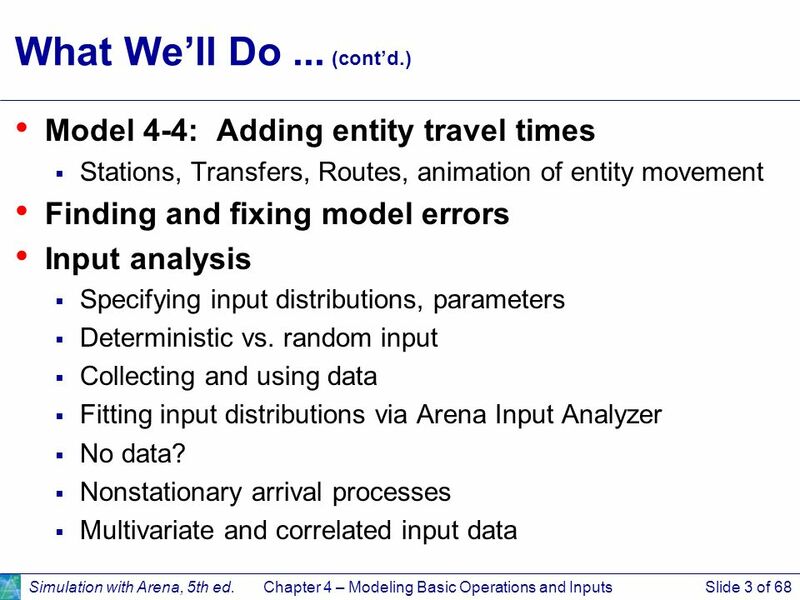 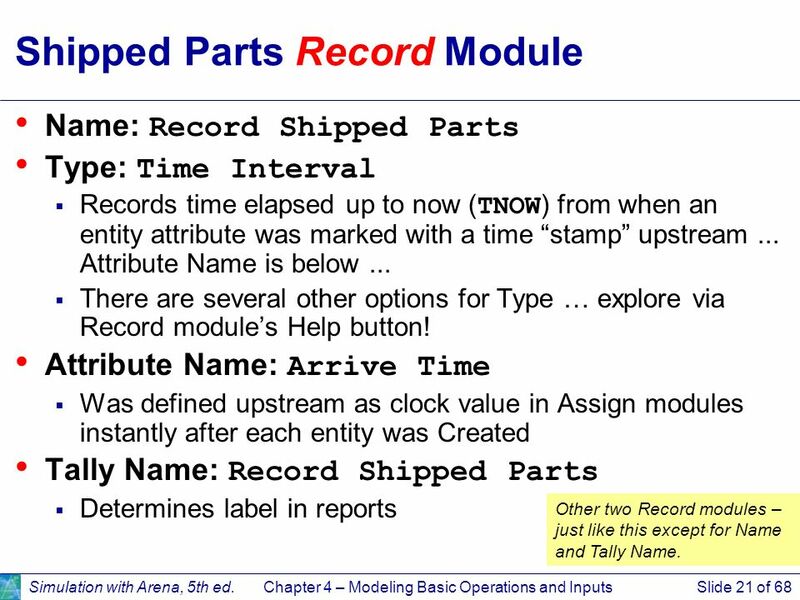 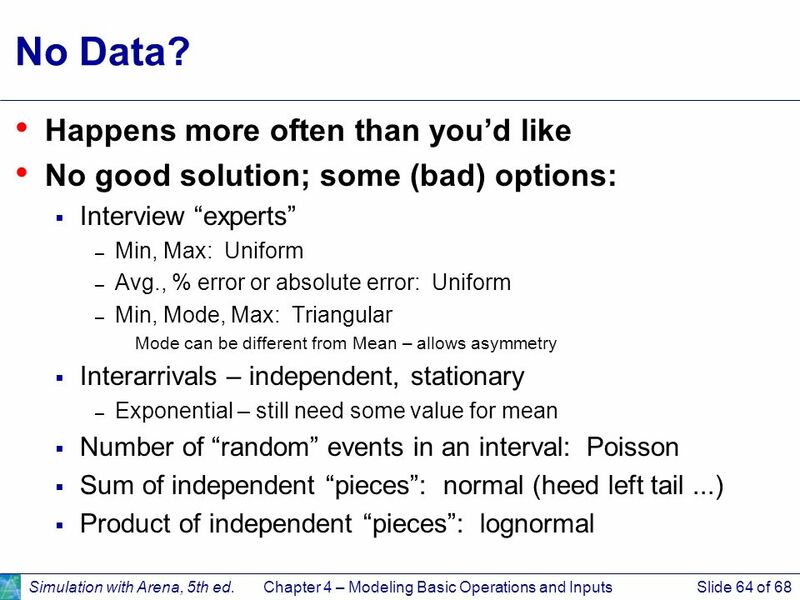 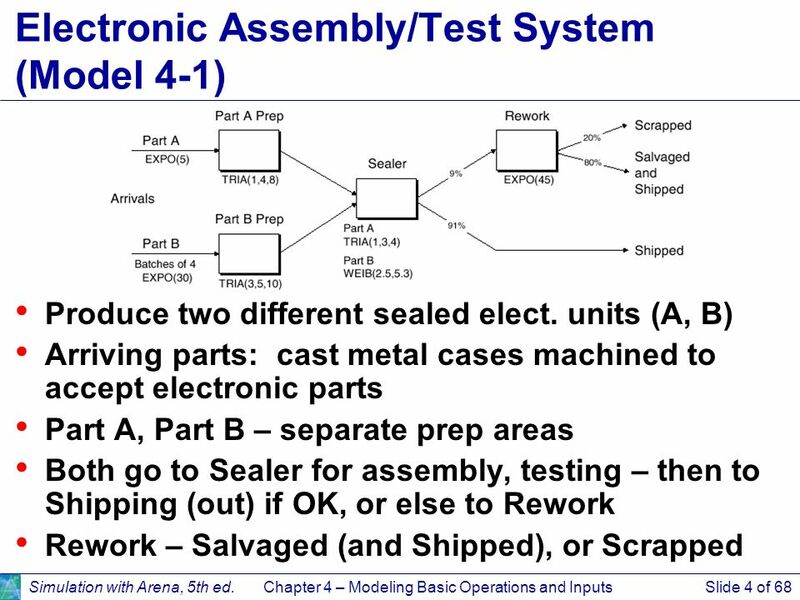 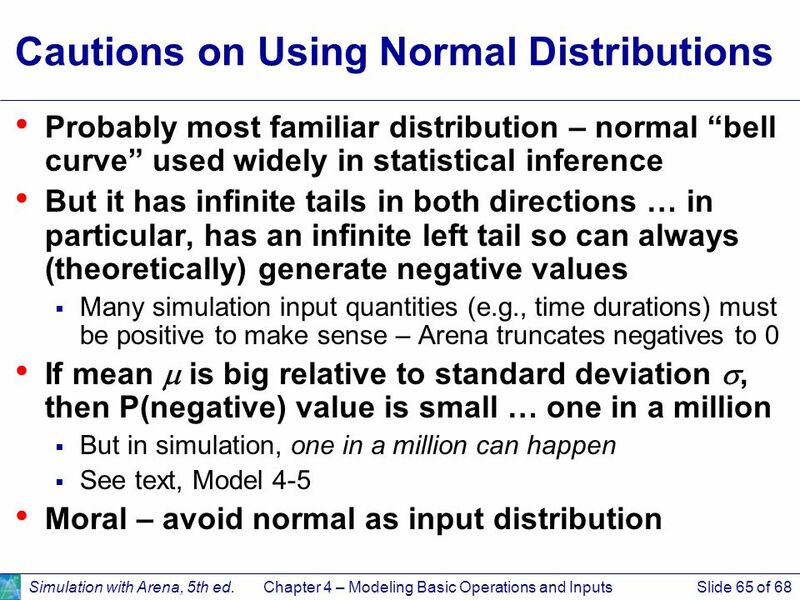 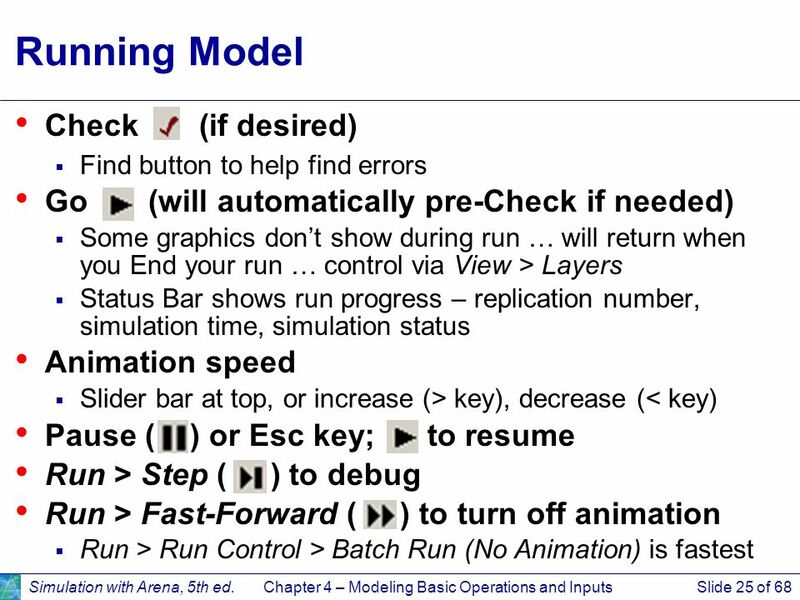 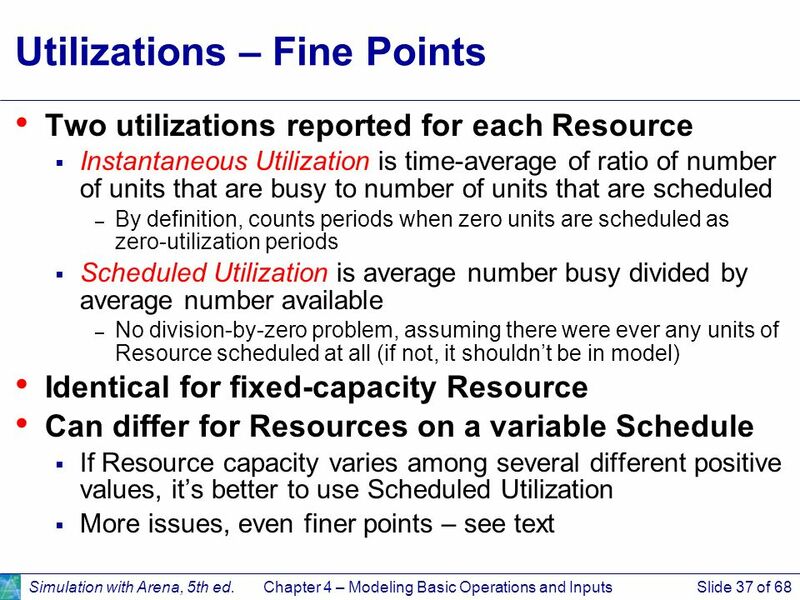 Download ppt "Modeling Basic Operations and Inputs"
Reporting Throughout this slide show there will be hyperlinks (highlighted in blue). 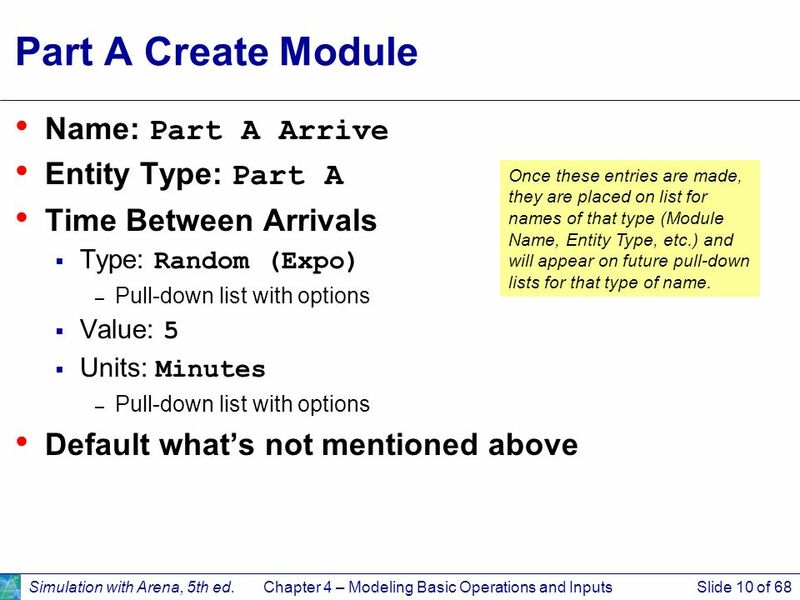 Follow the hyperlinks to navigate to the specified Topic or Figure. 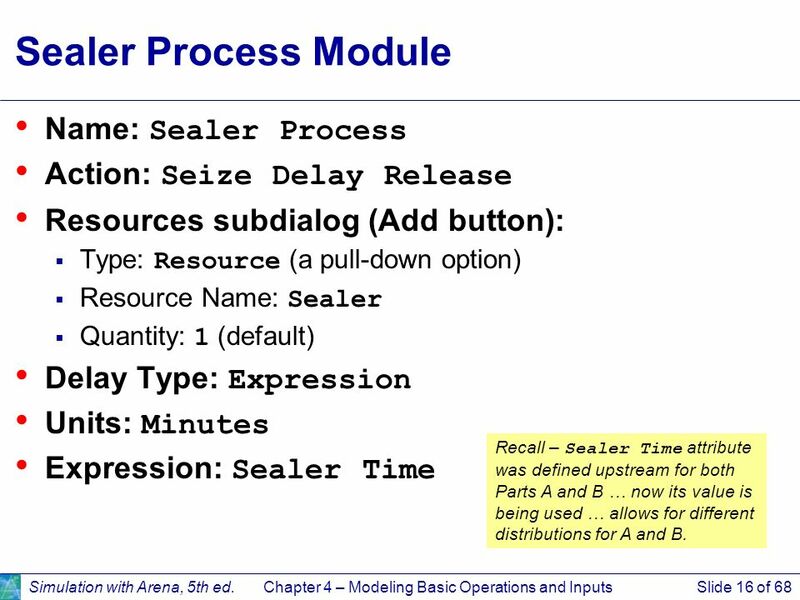 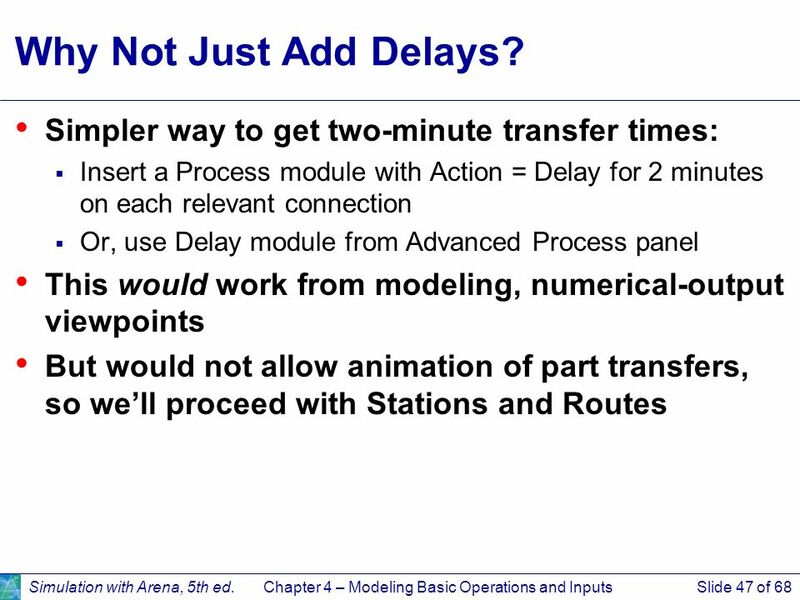 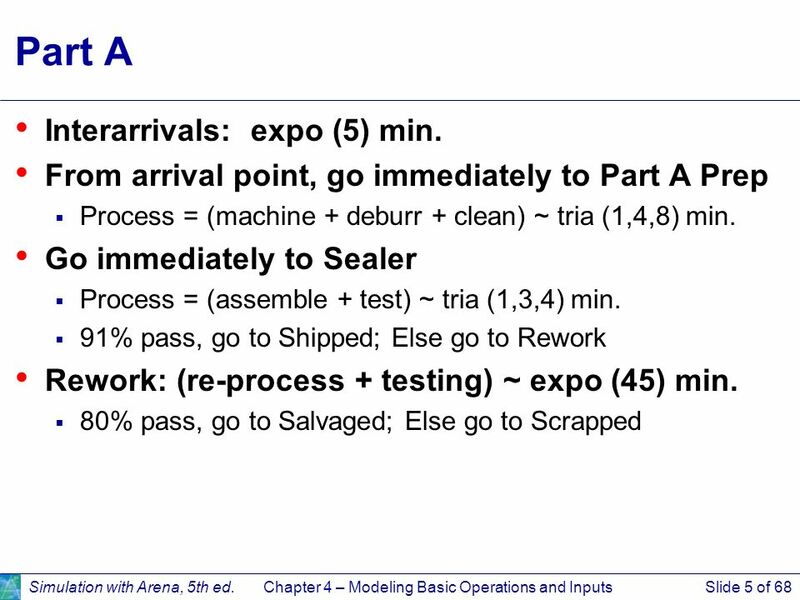 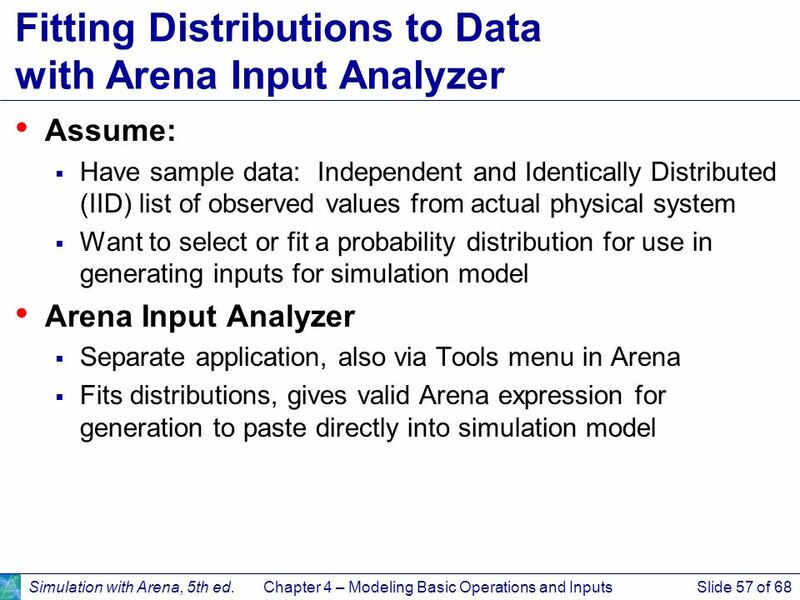 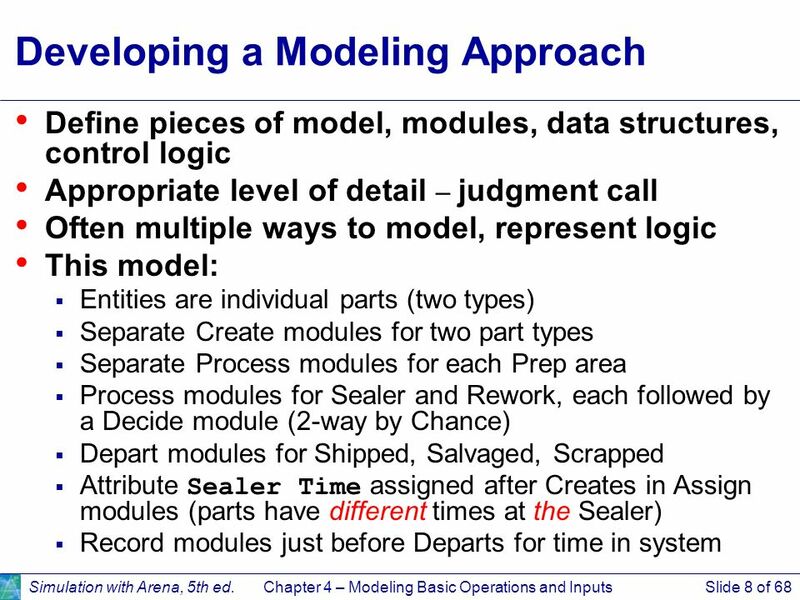 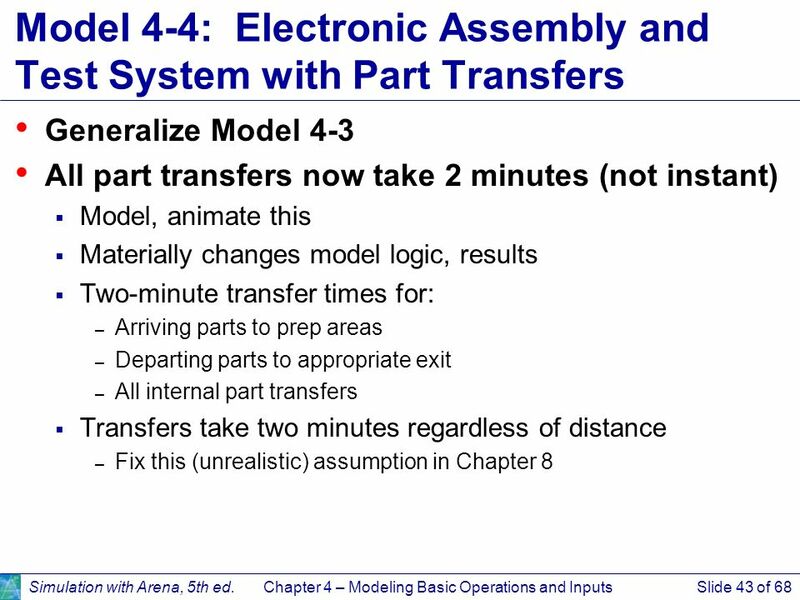 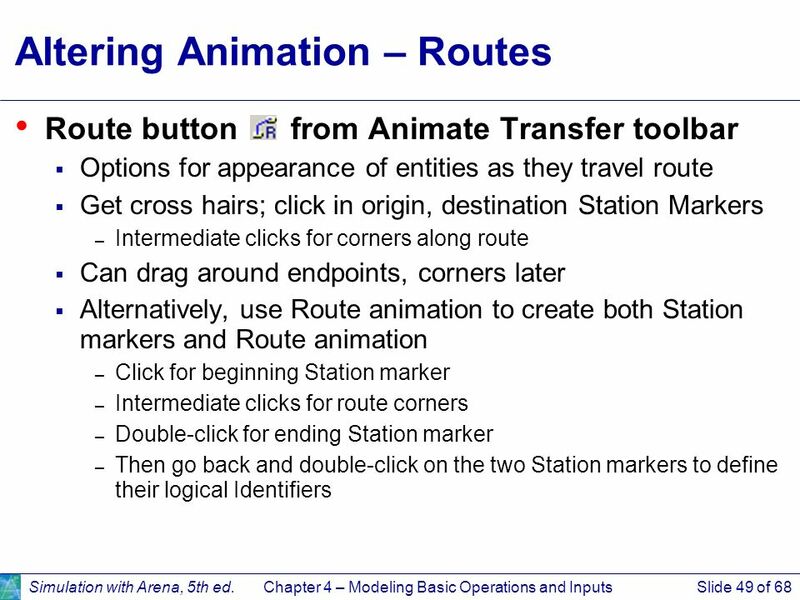 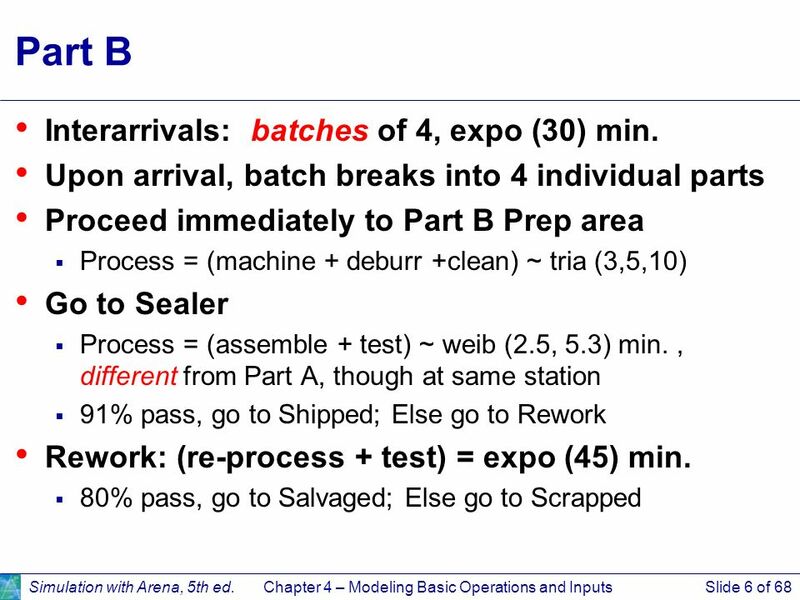 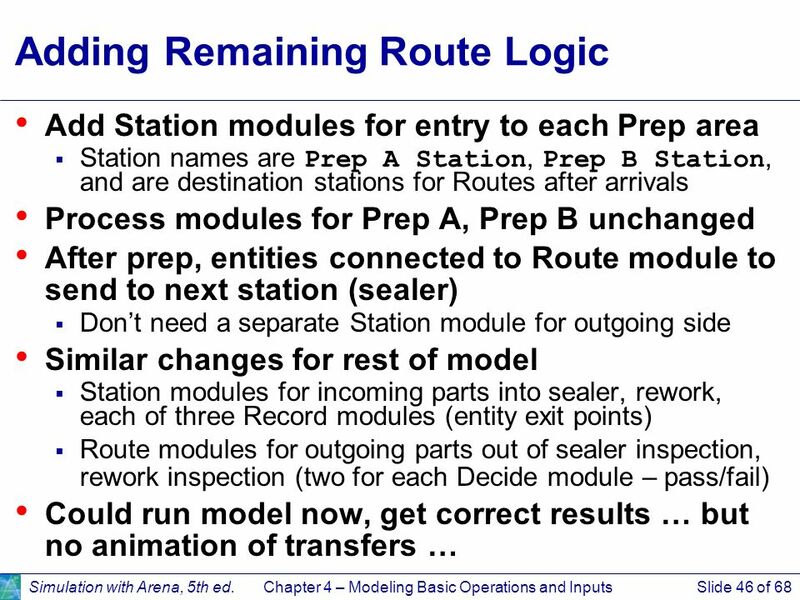 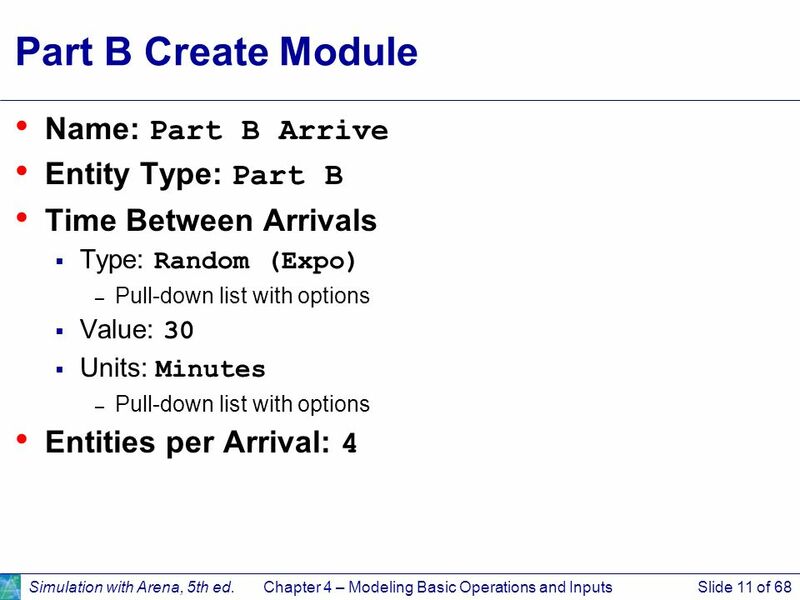 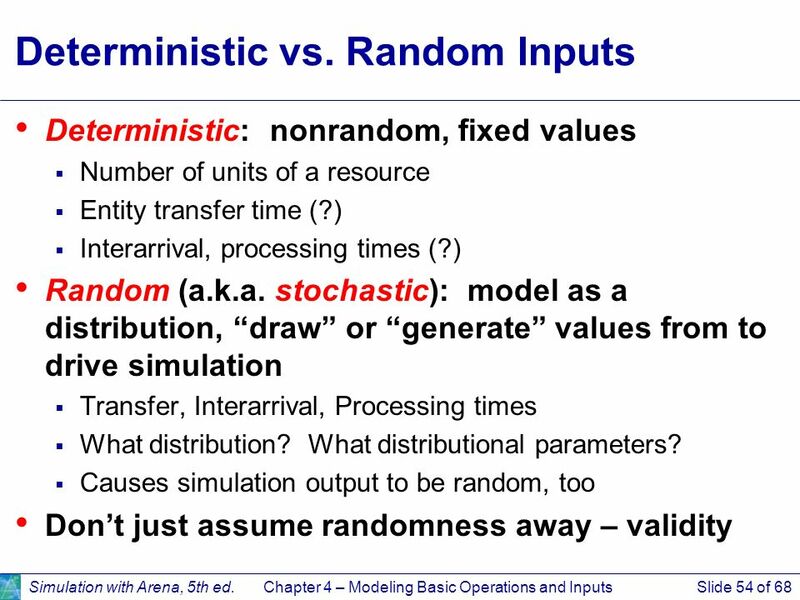 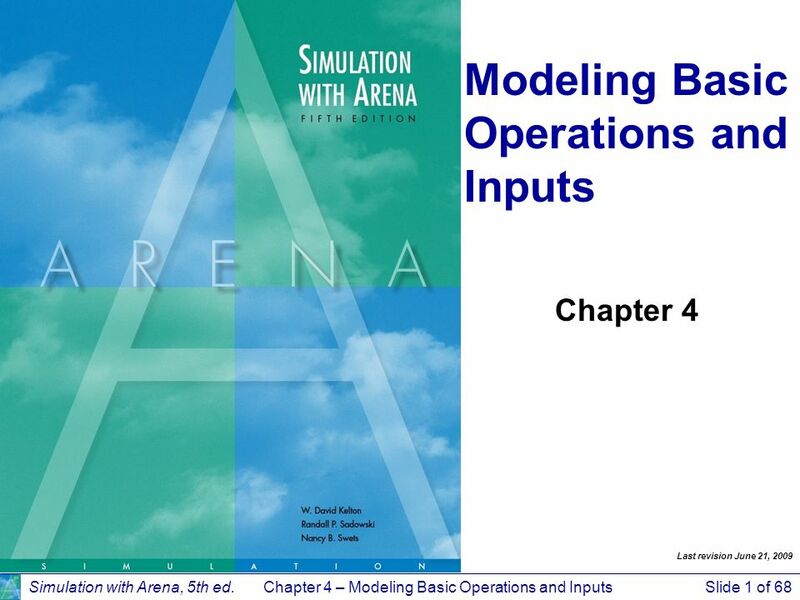 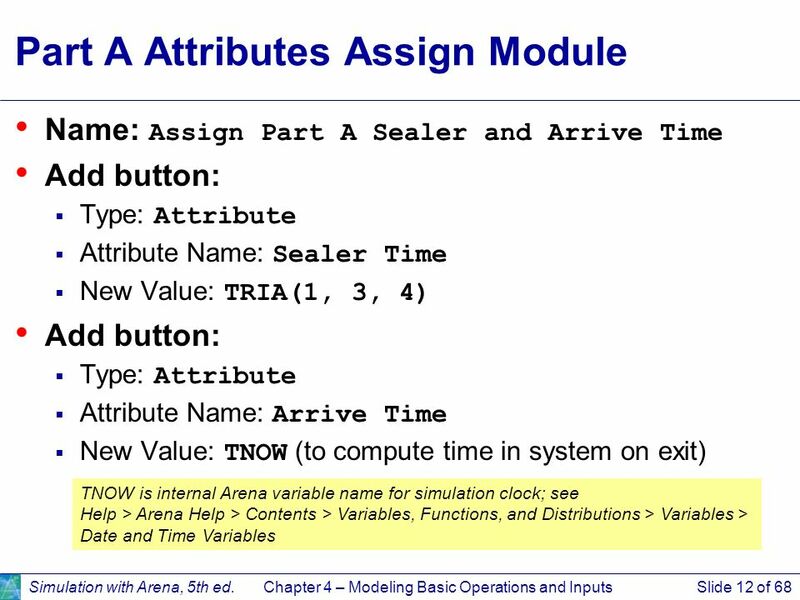 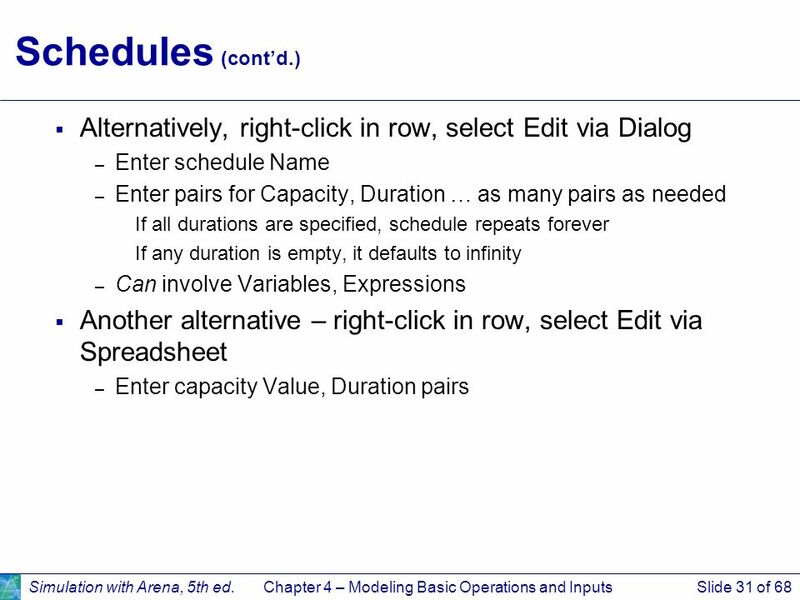 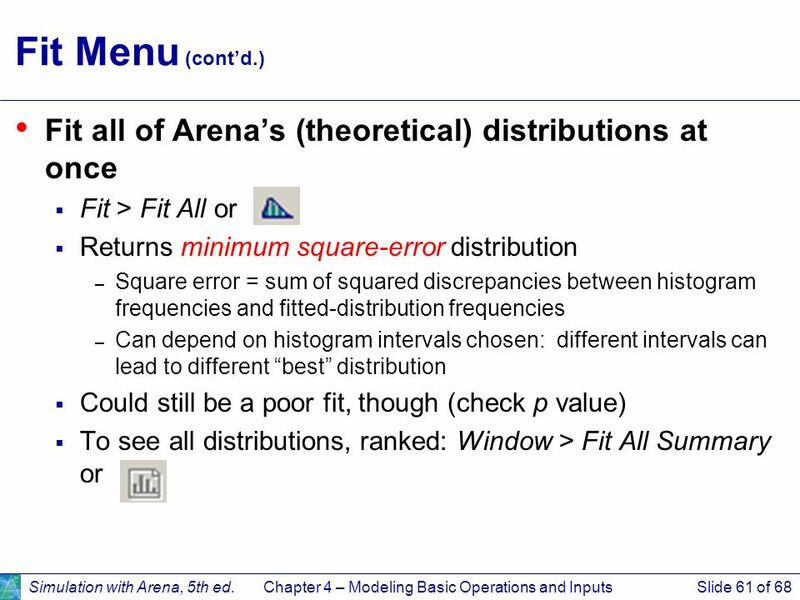 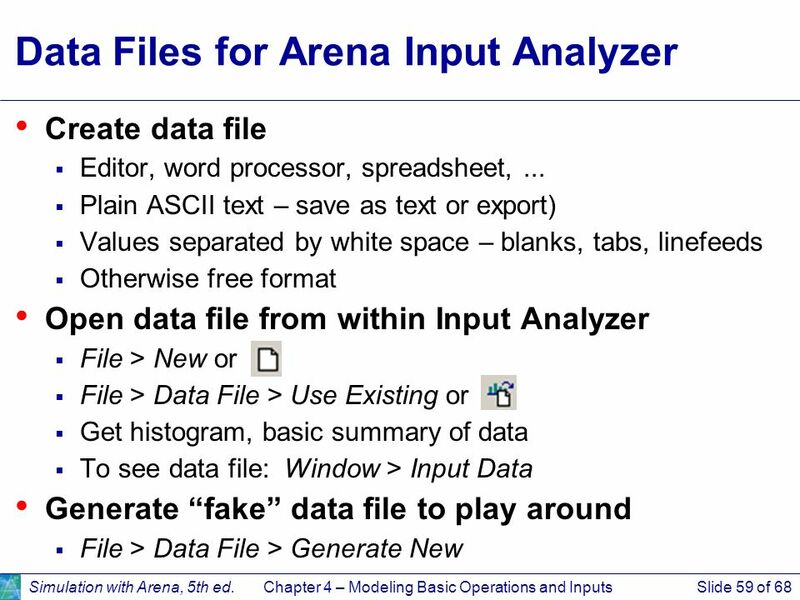 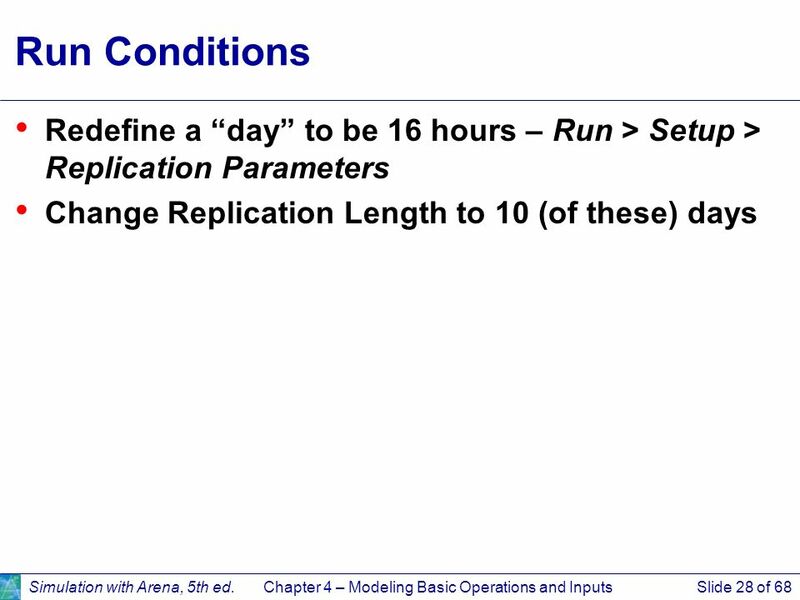 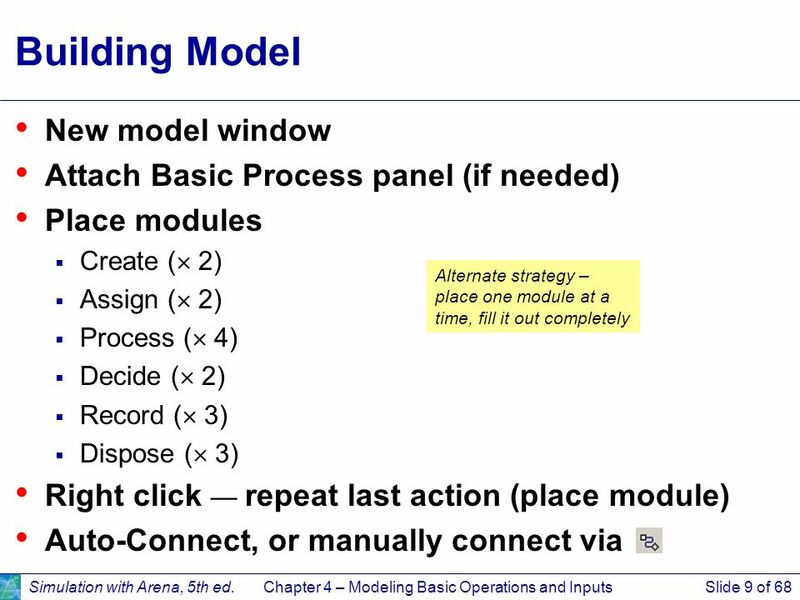 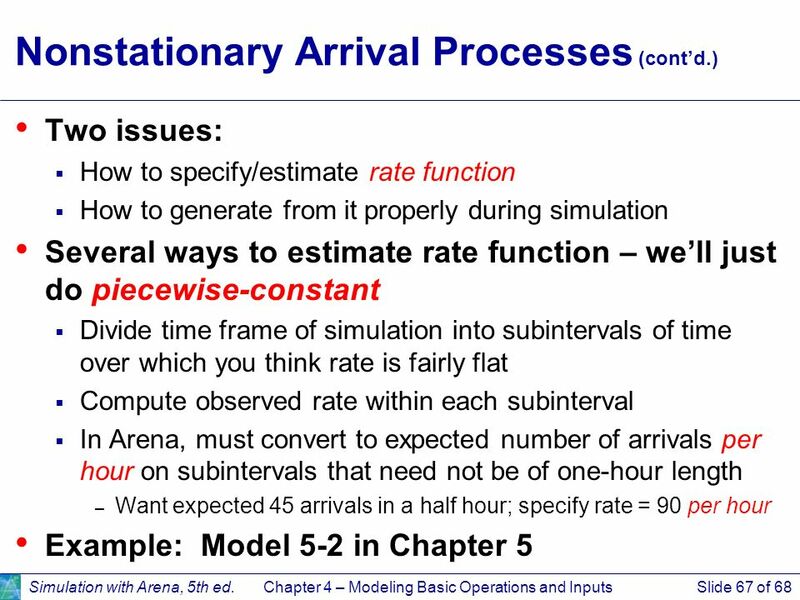 Simulation with ArenaChapter 4 – Modeling Basic Operations and InputsSlide 1 of 58 Modeling Basic Operations and Inputs Chapter 4.